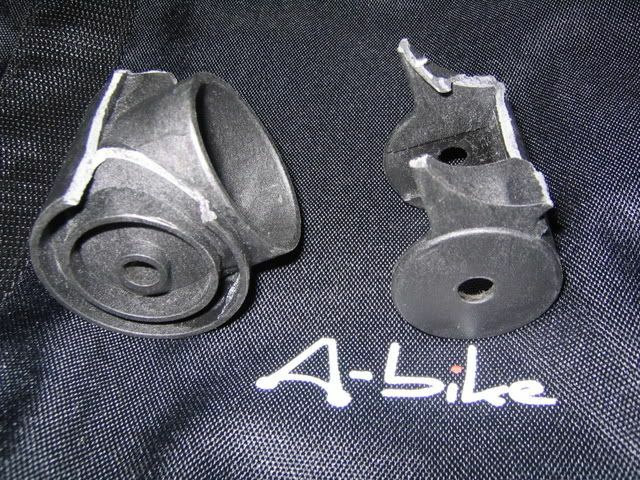 As an over-weight A-biker (115kg ), my A-bike has been torturing by me for a whole year. 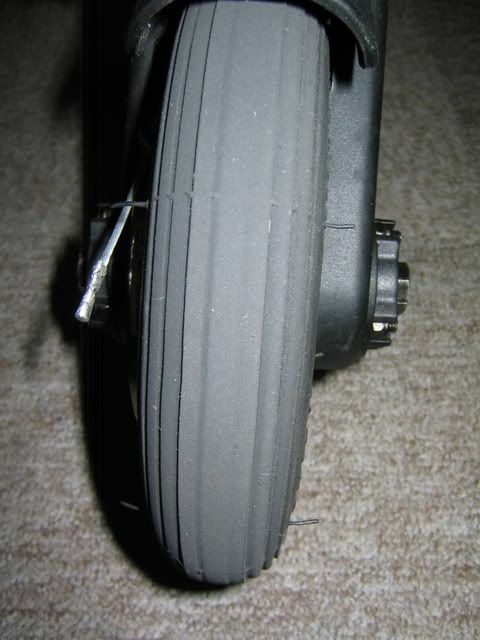 After a year of heavy duty on my little A-bike, the middle part of the tread of the rear tyre have been worn away. 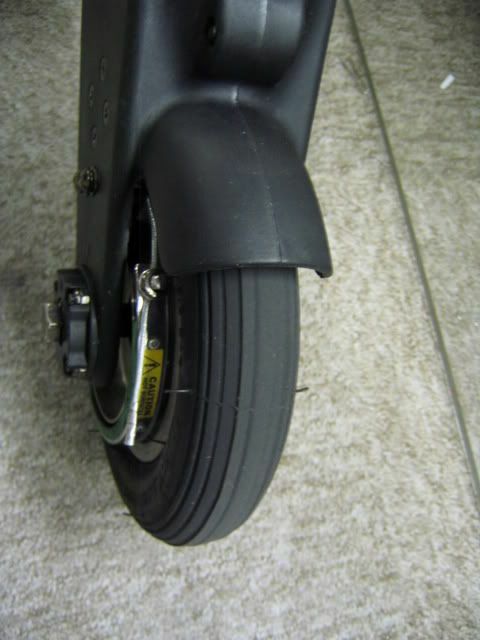 There's a crack appearing on the rear lower tube, too. 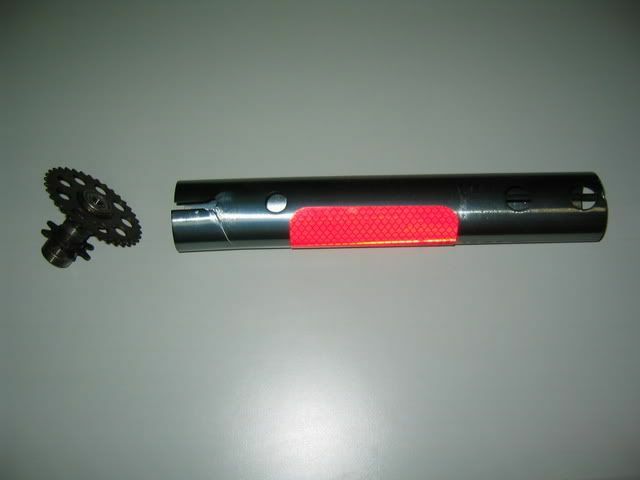 When I tried to go up a steep incline by my A-bike last week, the chain fell off from the gear suddenly. 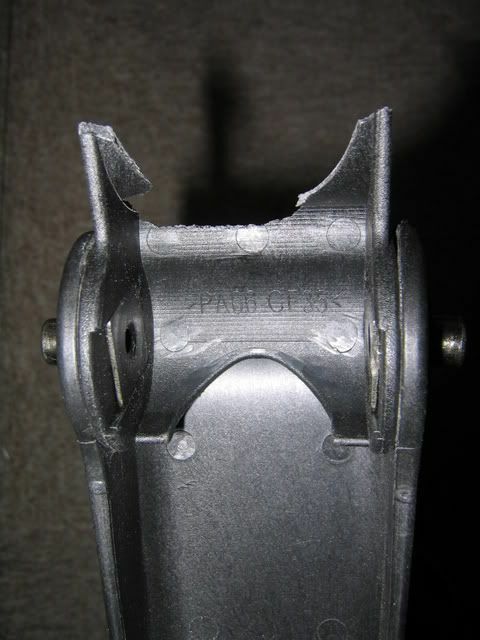 After opening the crank case, a crack has been found on the small spocket of the layshaft. 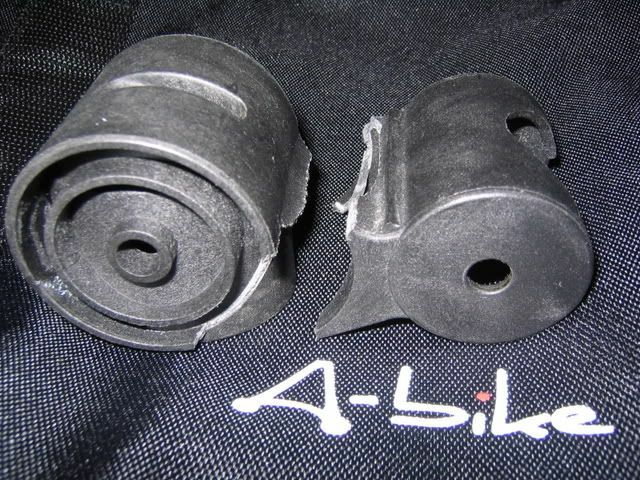 Here are the prices of the parts from MHM, the local distributor of A-bike in Hong Kong. 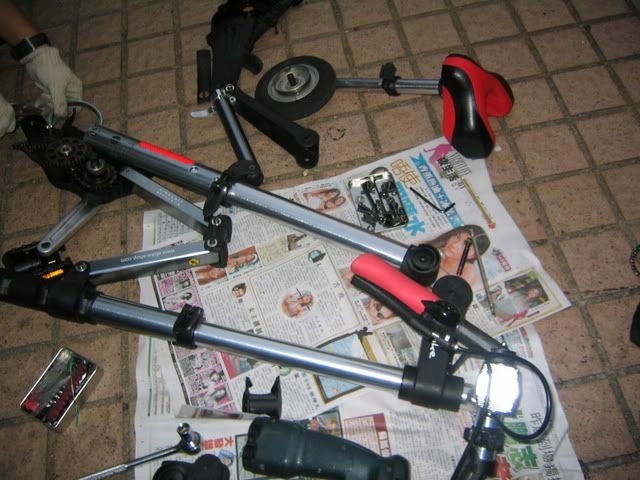 得把口, an A-bike expert in the local A-bike community, has helped me to replace those parts. We just did it openly in a park last night. 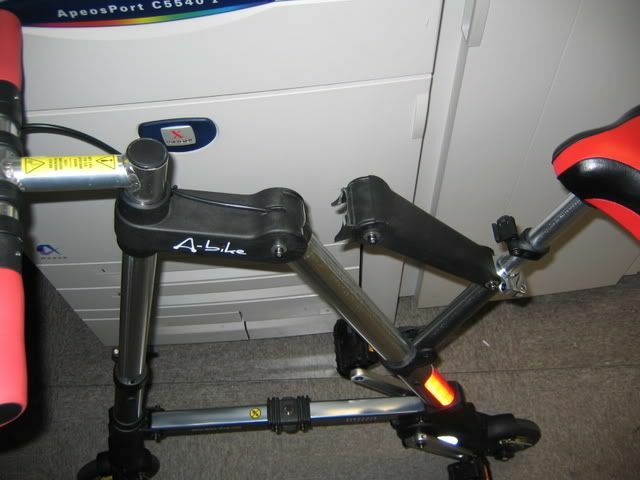 My A-bike is recovered now. Last edited by Amuro Lee on Thu Nov 08, 2007 4:09 am, edited 2 times in total. I found a hairline crack one day and it became bigger and bigger. 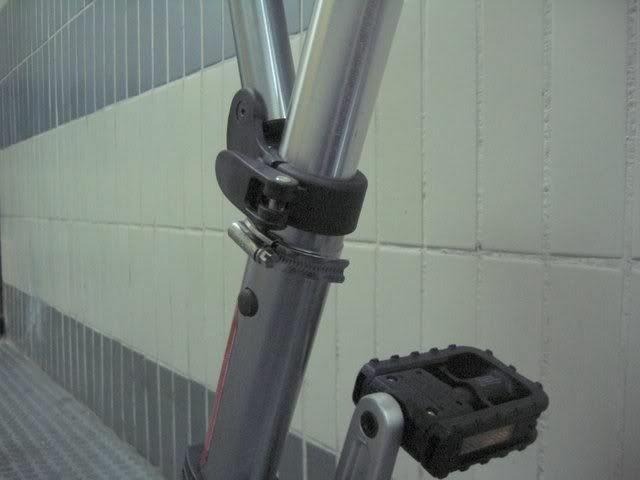 I continued riding, the rear tube quick release clip snapped and whole thing got wobbly. 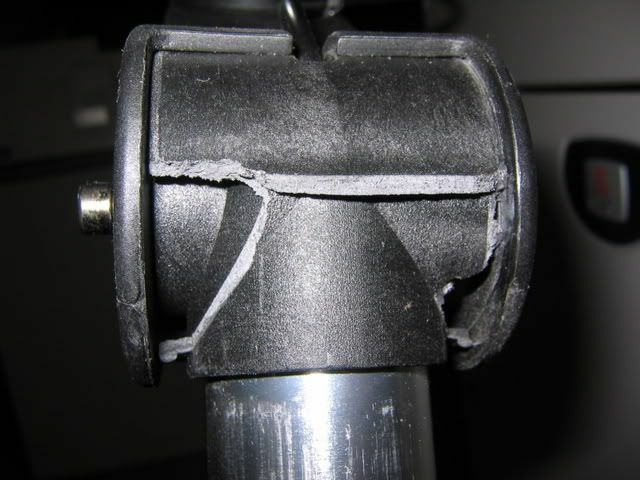 Angle of the saddle and everything gone wrong. Please see below animation GIF I made. 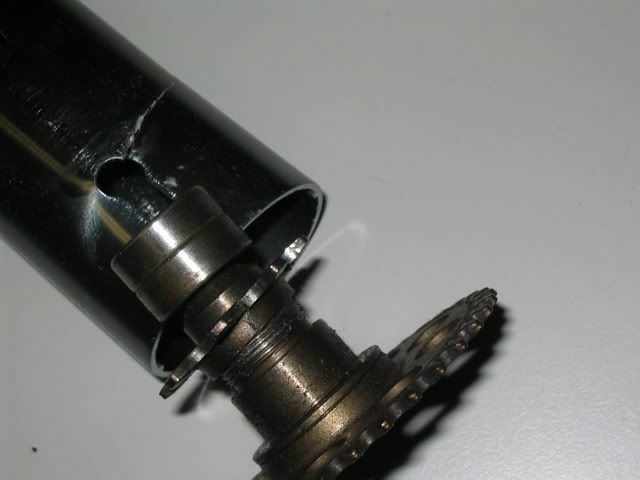 (I guess quick release was unclipped by my trousers then rear metal tube couldn't take the load with having the hairline crack, so the pipe started to tear and the crack opened, then a single screw of quick release was snapped by the force. 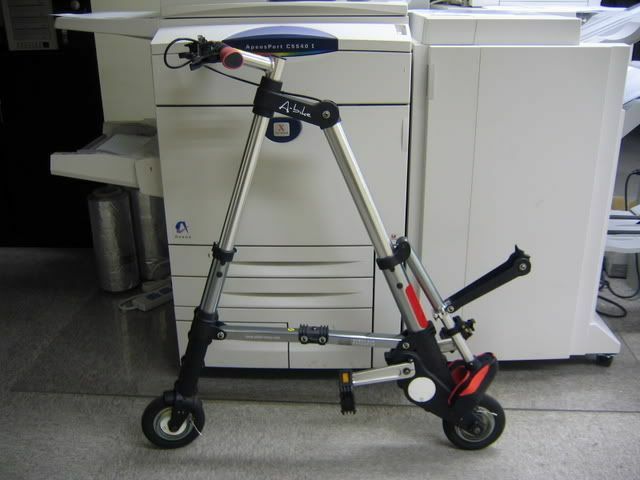 Since the rear upper tube is held by two button catches, my A-bike was somewhat ridable for a while even though it was very unstable --- so I could ride up to nearby pavement to save myself from cars. 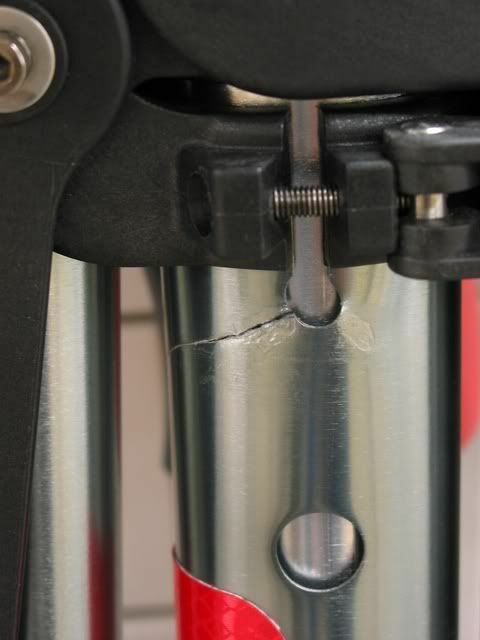 However, I saw reasonable numbers of reports on the crack on the net and thought there is a possible risk of fatal accident if users don't replace the cracked rear tube for long time. 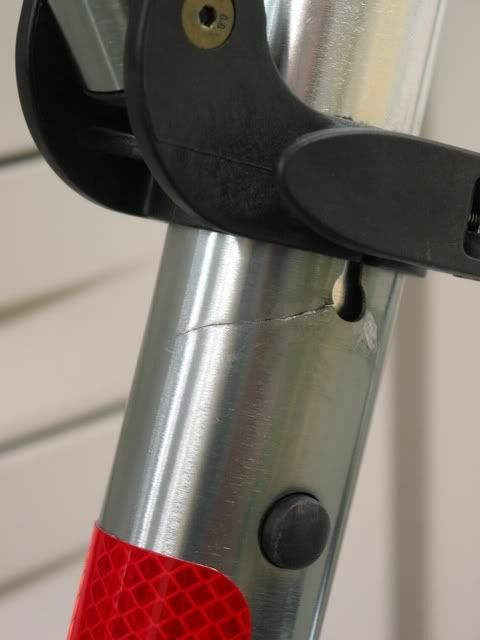 As far as I reckon, the crack will appear soon or later if your use A-bike regularly, even you take good care of your bike. 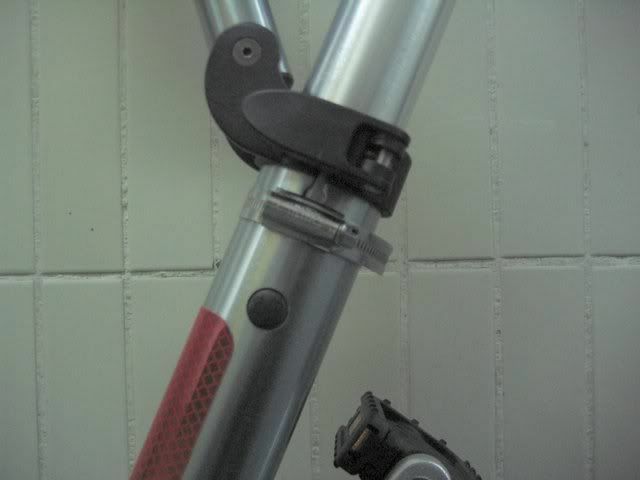 over tightening quick release clamp is absolute no-no. 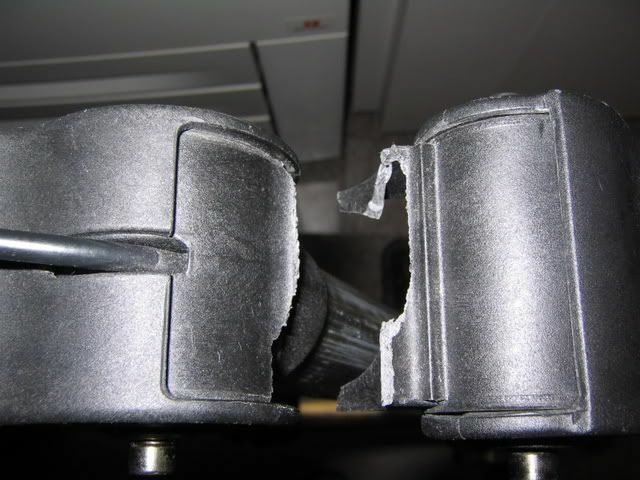 Although this cannot be the only cause for the crack, but this surely encourages the crack. I already reported this cracking problem in document to Mayhem, Alex. K., Sir Clive at the London Meeting July 2007. Hopefully they will come up with some solutions. I found this picture on the post of disney's 3rd day journey on Jeju Island on the Naver Abike Cafe. I think this is a good method to prevent the situation get worse. Sorry me derailing. Not sure how to reach New Cross in any other way. New Cross, is that an official CAD? based on A-bike site or did you do that one yourself. Looks so great to me who have no knowledge of how to make such. I wish me could make such pictures too. Which program does one need and do they save in gif or does one need a converter program to do that? the other Guest wrote: New Cross, is that an official CAD? based on A-bike site or did you do that one yourself. Looks so great to me who have no knowledge of how to make such. 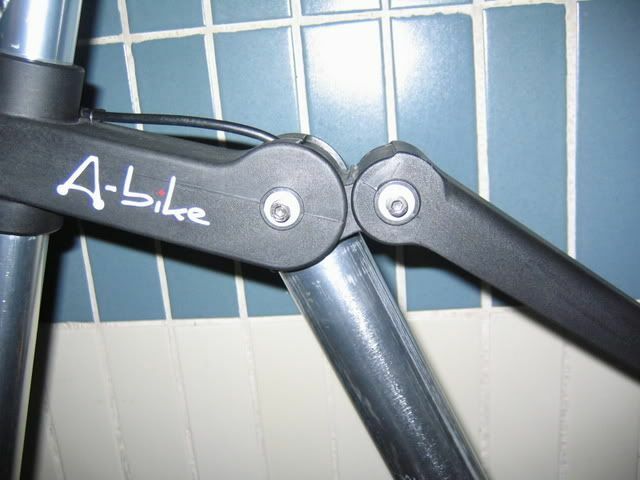 Hi, the image looks great because the official A-bike image was great. 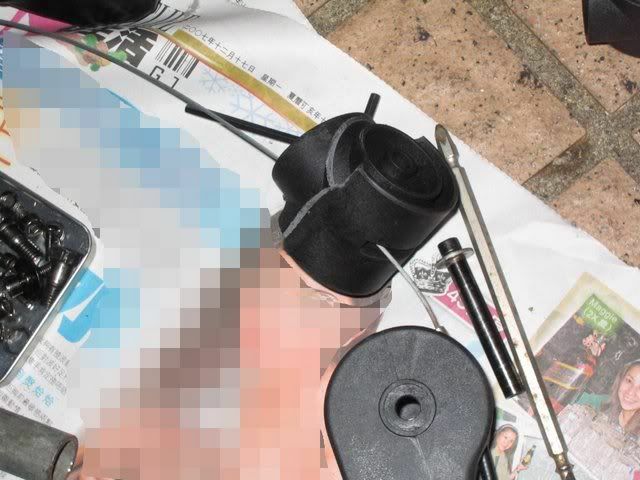 I captured it from A-bike official online manual and altered it to simulate the incident by using photo editing software. "Animated GIF" canbe easily created by using freewares. To paste images (including GIF) here, you need to upload the image to a server (could be free photo host like Flickr) then just put the URL with Img tag you can see in the forum posting form. In anyway, it's always good to register to this forum, so that you can post images and also send private message to other members of the forum. Amuro Lee wrote: I found this picture on the post of disney's 3rd day journey on Jeju Island on the Naver Abike Cafe. the idea is fantastic!! 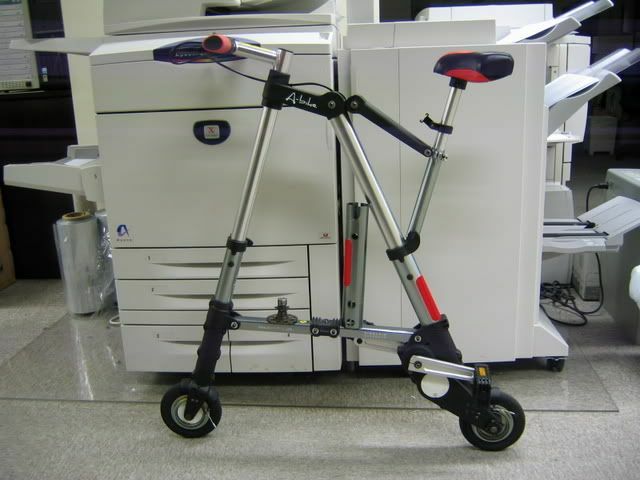 I shall try this on my A-bike. 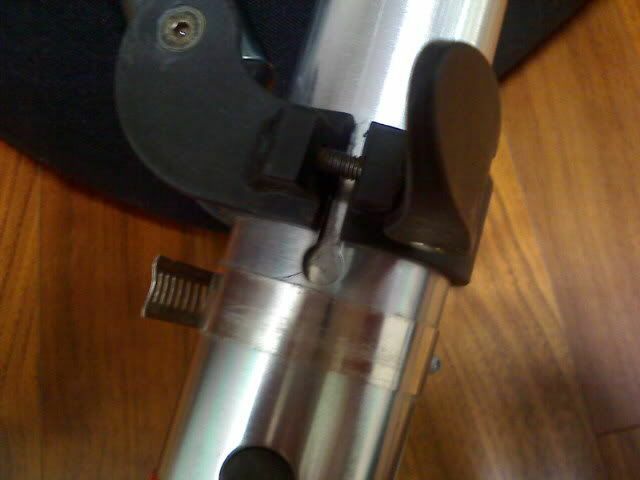 however I feel the metal strap should be put higher up to hold against the tube breaking load. 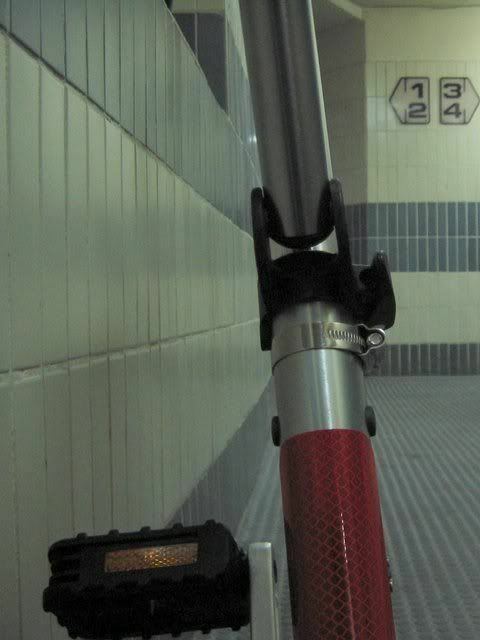 newcross wrote: however I feel the metal strap should be put higher up to hold against the tube breaking load. 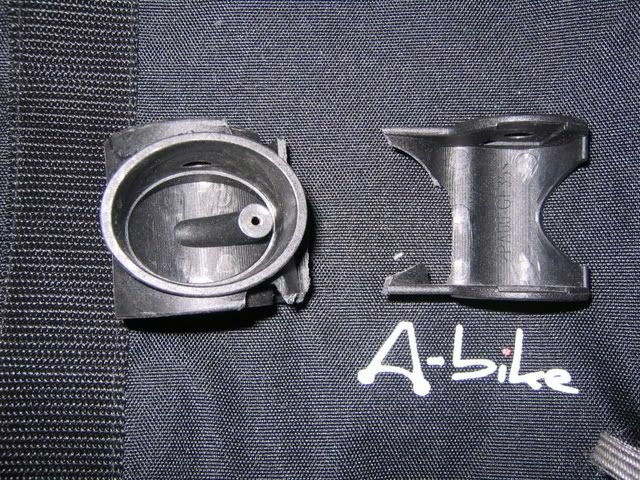 The Upper Steering Joint Pivot Fixture of my A-bike broke recently. 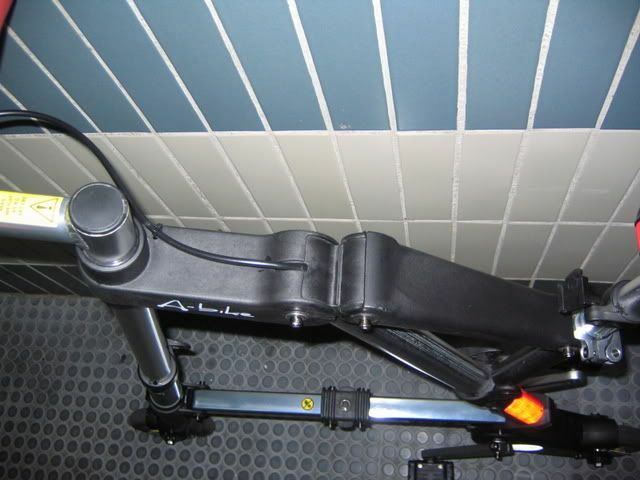 I don't think it's the problem of the A-bike itself because I'm really a seriously overweight person (115kg ) as the recommended maximum user weight of A-bike is only 85kg and my A-bike has already been tortured by me for a whole year. 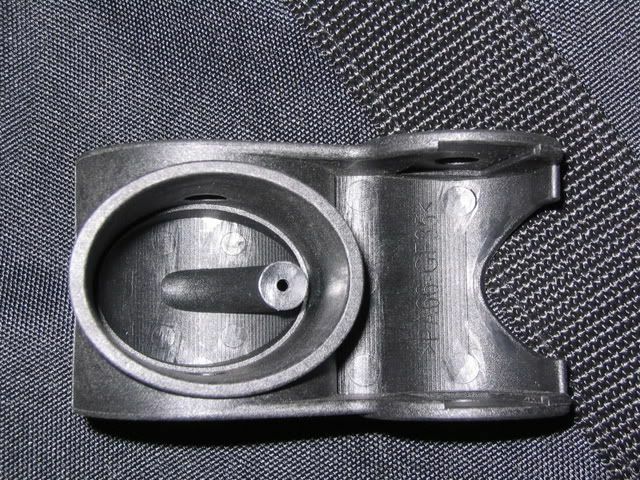 I've ordered the part from the local distributor. The price is HK$57 only. 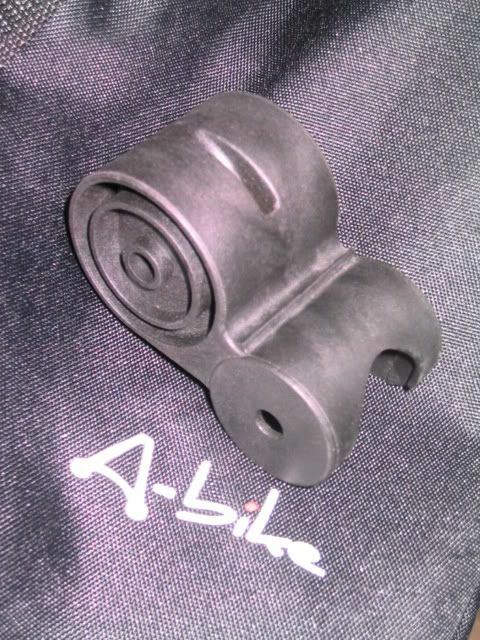 Thanks to 得把口 for helping me to replace the part again! My A-bike is recovered again. 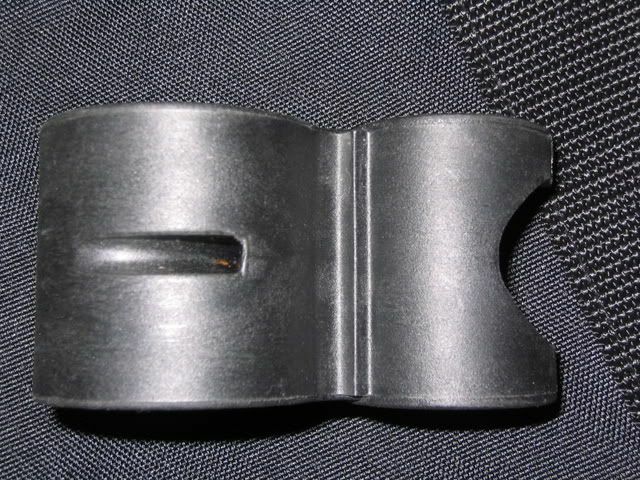 The rear lower tube has been strengthened by installing a stainless steel hose clip on it this time. Last edited by Amuro Lee on Sat Dec 29, 2007 7:49 pm, edited 4 times in total. Should the rest of us do this as a preventative measure? 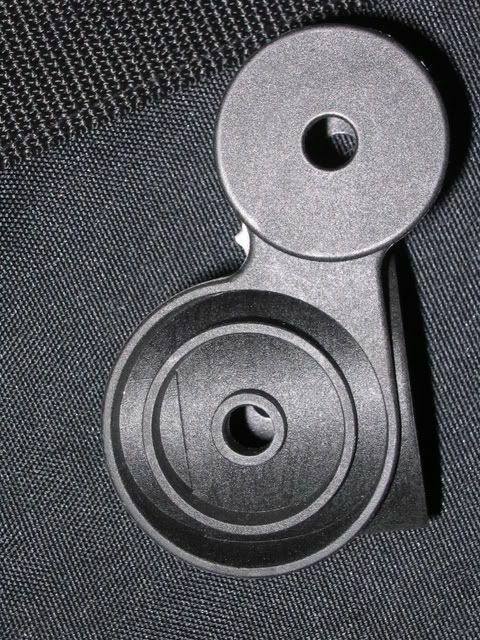 If we can find some straps that don't look to bad, it would be worth doing I think. 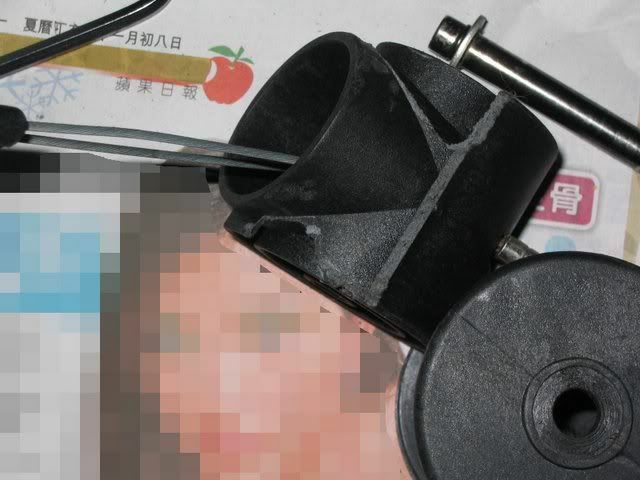 I think I will need Mr 得把口 help one day in the future because I really do not have any idea of how to repair or replace broken part of my A-bike. I would like to know how much is the service provided by Mr 得把口 ? (In the case you show us this time for example) Where is he/his shop? 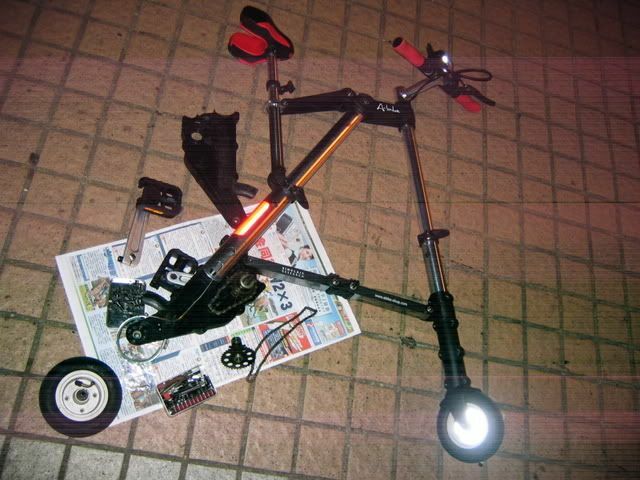 Fai wrote: I think I will need Mr 得把口 help one day in the future because I really do not have any idea of how to repair or replace broken part of my A-bike. I would like to know how much is the service provided by Mr 得把口 ? (In the case you show us this time for example) Where is he/his shop? I've given you his phone number. Do you remember that? 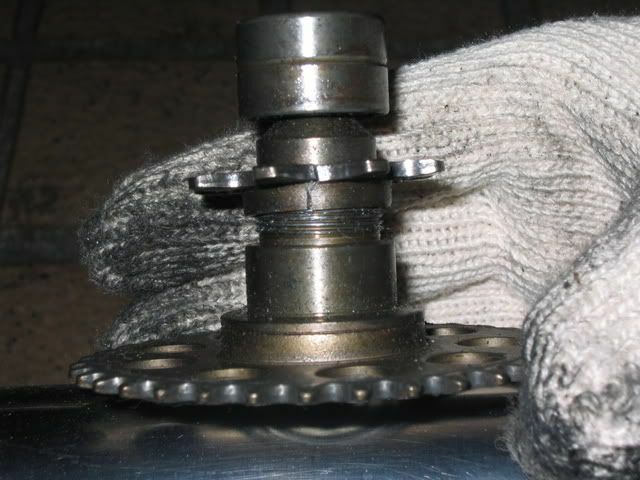 He is just an amateur bike mechanic. 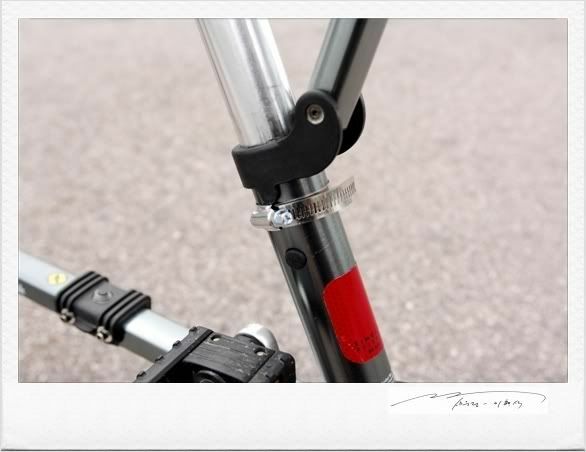 I highly suggest everyone should put that metal band called a tube clamp/ring around the rear tube. 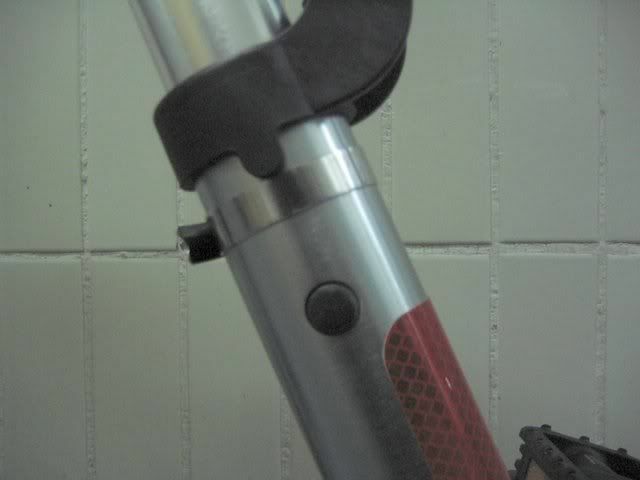 For safety purposes, I put the clamp around both tubes near where the locking clasps are. 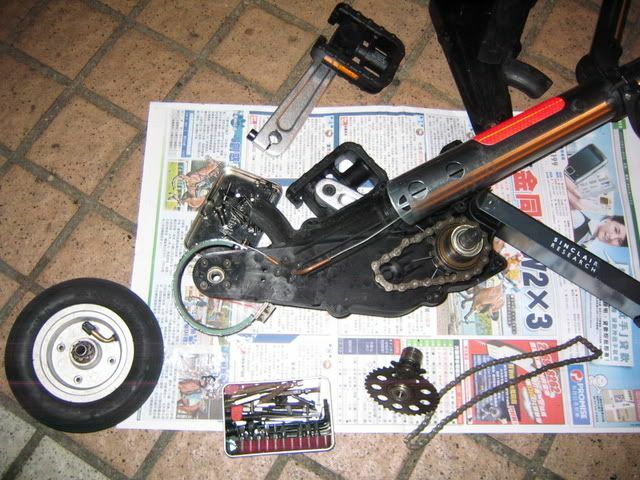 That way, you can prevent any bad things from happening to the bike, short of the plastic breaking.